This Works- Deep Sleep In Progress.. This works Pillow Spray and Balm £10* This is a miniature deep sleep pillow spray, it contains therapeutic blends of oils including lavender, vetivert and camomile. This package also contains a full size sleep balm to provide calm and relief on your pulse points. Using the two products together you get a good nights sleep due to the calming fragrance. I struggle to fall asleep at night due to my mind over thinking and midnight seems to be the time when I feel the most creative. I think about future blog posts just before falling asleep too which can keep me up an hour longer. This year I have planned to go to be earlier, having a bath and then using the pillow spray along with the balm helps me to feel relaxed. In the past I have tried many natural remedies to fall asleep, so many products purchased but I have finally found one that works. I swear by this product, it is something I want to use more of in the future. All the Christmas gift sets are on sale here if you fancy trying some out for a decent price. I may have to invest in a couple more products, I am eager to try the candle. No matter what type of day I have had I still find it hard to switch off. It usually takes me an hour or so to nod off at night, so having this in my bed side draw helps. It now takes me minutes to relax and fall asleep, last night I managed to fall asleep at 11 and wake up feeling great. My usual bed time is between 12/1 so this product has changed that, it is something I want to invest in and purchase more. I love the packaging of the full sized pillow spray, I think its time for me to go ahead and purchase the full size on Feel Unique here. This has become my must have sleep solution, it has changed my sleep pattern by hours. One spray of the beautiful lavender scent on my pillow sends me into a deep sleep. I even manage to forget about my phone and I nod off peacefully, its such a miracle product in my eyes. I have purchased so many other products before and they smell horrendous or just don't work. If you travel, this mini size would be ideal to fit in your travel make up bag. I'd be really keen to try this, as sometimes it takes me forever to fall asleep - I always tend to feel sleepy around 7pm, but have woken up fully by about 11! I've always wanted to try this, keep hearing good reviews but never been sure if it would work for me. This looks like a good kit to try it out before purchasing the full size. Thanks for the review. 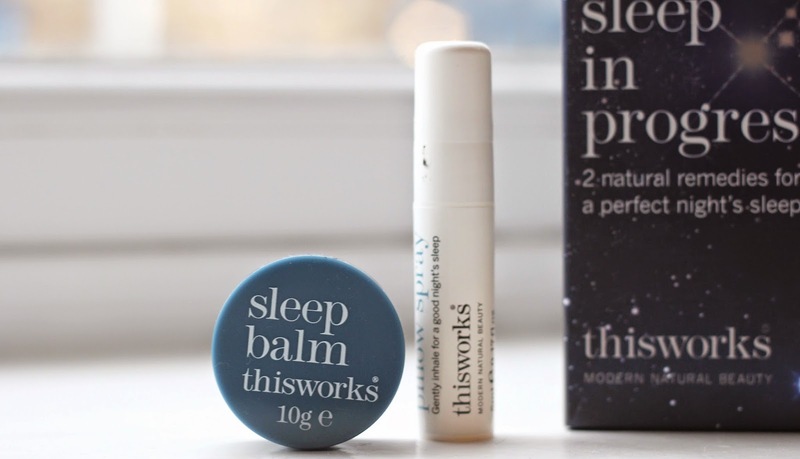 i live by thisworks products. simply because they're so minimal, not overpowering and contain lovely scents to send you off to sleep. This duo from This Works sounds like it really helps you fall asleep. I have such trouble drifting off to sleep, I think I need to invest in the pillow spray. I've never tried this, but have always heard so many positive things about it! I always struggle to fall asleep, so this might be something I'll be picking up! I really must try this brand out. I often have problems with relaxing and cutting off before bed.